Ashwagandha (اشواگندھا) also known as Winter Cherry, an ancient herb one of the most powerful herbs in Ayurvedic healing, has been used since ancient times for a wide variety of conditions, and is most well-known for its restorative benefits. In Sanskrit Ashwagandha means “the smell of a horse,” indicating that the herb imparts the vigor and strength of a stallion and has traditionally been prescribed to help people strengthen their immune system after an illness. The benefits using Ashwagandha powder for a better health overall is becoming the talk of the town now and it is no more a stranger from the herb family, it won’t be wrong to say that the army of herbs is being led by this great Lion (Ashwagandha)by having a multiple number of advantages in itself. Ashwagandha is an herb and a popular supplement. It provides neuroprotection, anti-cancer effects, enhanced virility, and can even stave off anxiety. 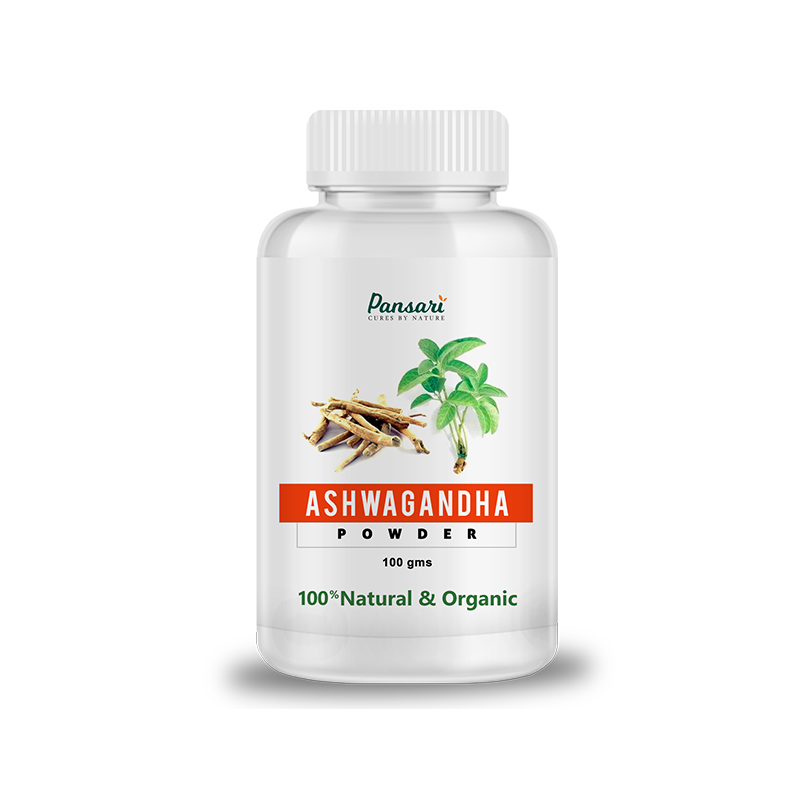 The wonders of ashwagandha do not end here it is a highly rejuvenating herb recommended for reducing stress and anxiety, combating fatigue, depression, and insomnia, it improves libido too. It is often used to strengthen the immune system, improves concentration, and alleviates a general sense of un-groundedness due to stress. Ashwagandha does appear to have benefits for men specifically. These tend to centralize around testicular health and fertility while the anti-stress effects affect both sexes. It is excellent for cardiovascular health. Its use can help one control blood sugar levels. It helps promote bone and joint health. Better hair and skin. Do any of these common symptoms sound familiar to you? The use of this amazing herb, Ashwagandha can help alleviate these symptoms and support an energetic and rejuvenating sense of wellbeing. Ashwagandha contains many useful medicinal chemicals, including withanolides (steroidal lactones), alkaloids, choline, fatty acids, amino acids, and a variety of sugars. While the leaves and fruit have valuable therapeutic properties, the root of the Ashwagandha plant is the part most commonly used in herbal remedies. According to herbal history, our bodies are woven from food. The nutrients we ingest are metabolized into the energy and information that form our cells, tissues, and organs. Every day our bodies need essential vitamins, minerals, and other nutrients to maintain our body’s delicate balance. Taking Ashwagandha powder as a supplement is a highly effective way to create that balance. 1/4 to 1/2 teaspoon once or twice daily mixed with warm milk and honey. Moreover, adding the benefits to this herb will be like building a bridge over the sea. Add this extraordinary herb to your life and get rid of those multiple supplements as only this One will work wonders for you. One of the best supplements for over-all health and esp. for males! I love their packing, I would love if they replace it with a plastic pouch because powders are mostly given in pouches and tablets are packed in a plastic container. Customers want to pay for the product not for the packing.